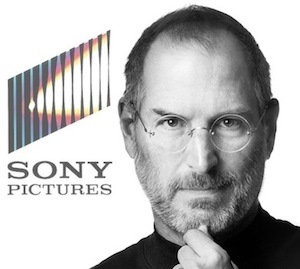 The studio late this week concluded a deal to buy film rights to the authorized biography “Steve Jobs,” from Walter Isaacson, according to a person who was briefed on the deal and spoke on the condition of anonymity because the studio had not authorized a public statement. Isaacson has been reportedly paid $1 million in advance for the rights, and another $2 million will go his way if and when the movie is produced. There is no word yet on a filming or release schedule. It’s hard to anticipate the style of film, but Sony Pictures Entertainment is the same movie studio that produced The Social Network, the dramatic and darkly intriguing film about Mark Zuckerberg and the founding of Facebook that garnered critical acclaim and won several Oscars. It strikes me how much the younger Steve Jobs and Ashton Kutcher look alike. It may be a career-turning event for Kutcher if he is casted in this role. Need to agree, Noah Wyle did a fantastic job on this movies. He would be great for a for this movie. The entertainment is always a funny business.